I'd give a 0 if that was an option. I was promised a no charge on-site visit from a technician since my issue could not be resolved over the phone. My security system was offline, which meant I... I'd give a 0 if that was an option. I was promised a no charge on-site visit from a technician since my issue could not be resolved over the phone. My security system was offline, which meant I was paying for nothing. 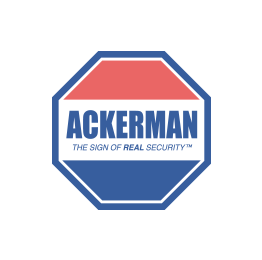 But after the technician visited, Ackerman still charged me $100 for the visit that was promised to be free. I even have the full name of the rep I spoke to that made the promise (not to mention I was promised that by several other people I spoke with while getting transferred), the date of the call, etc. After multiple calls and a formal complaint over the course of 6 months, it was never refunded. The company just kept using the excuse that they were still working on it, and also tried to deny any such promise. As soon as my contract is up (after this month) I'm definitely going to consider other companies for security. Just can't believe that's how the company treats its customers over $100 and a broken promise that I know was recorded and documented.